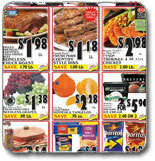 Sign Up And Save With The Ingles Advantage™ Savings & Rewards Card! Fill out the application to get The Ingles Advantage™ Card FREE and start saving today! * Except when compelled by law. 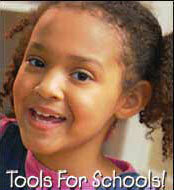 Get FREE School Equipment with Tools For Schools! - Use The Ingles Advantage™ Card and help your local school. When you make purchases using The Ingles Advantage™ Card, Ingles will give back to the school a portion of those sales. The portion can be used by the school to purchase computers and school supplies. Get more information and to link your card. Link your Advantage™ Card to a school online! Our online applications are PDF files, which require the free Adobe Acrobat Reader to view/print.